Daisy Grossnickle ’66 speaks with several students during the networking etiquette social. Alumni and students gathered in the Lee Room in Dulany Dining Hall on Tuesday, April 2, for a networking etiquette social. 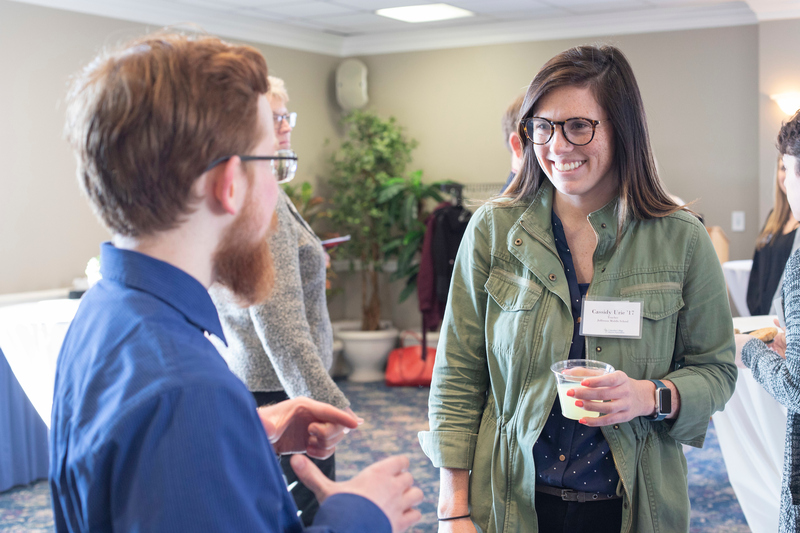 Hosted by the Office of Alumni Relations and the Grossnickle Career Services Center, the event offered students the opportunity to network with alumni in a fun, interactive space while displaying proper etiquette during professional events. 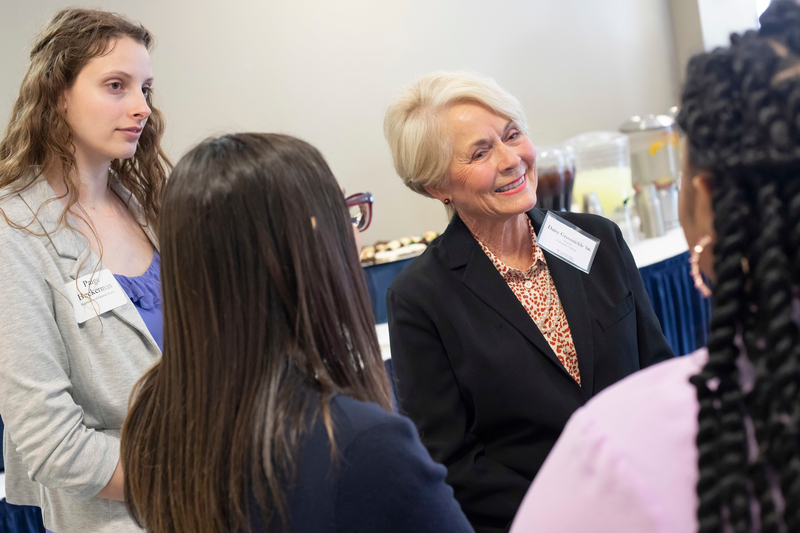 Ann Merrifield, senior director of Alumni Relations, believes these kinds of collaborations among students, campus departments and alumni are crucial for students’ professional development. 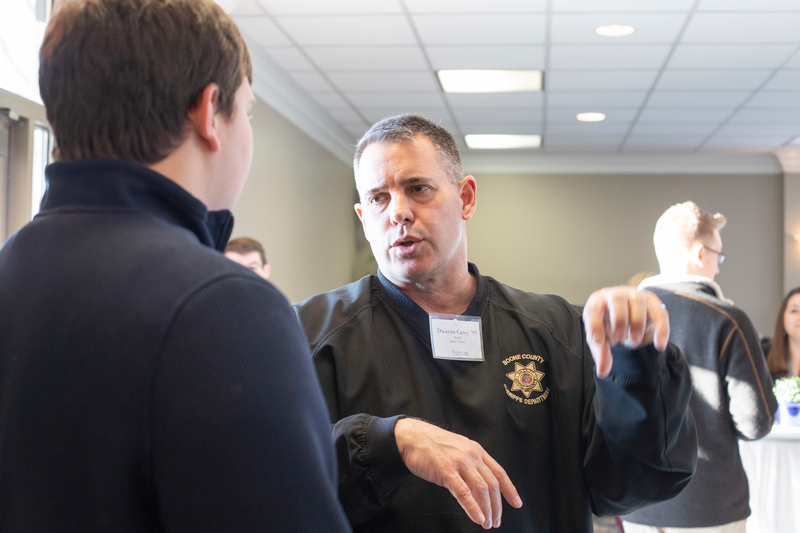 “It’s really important to engage students while they’re still in school so that we can keep in touch with them when they become alumni,” Merrifield says. One of the goals of the evening is to show current students how they can come back after they graduate and impact students of the future. All of the alumni that attended felt the event was a chance for them to give back to the school, to meet current students and discuss their interests. Urie enjoyed meeting students who are future teachers and community members. 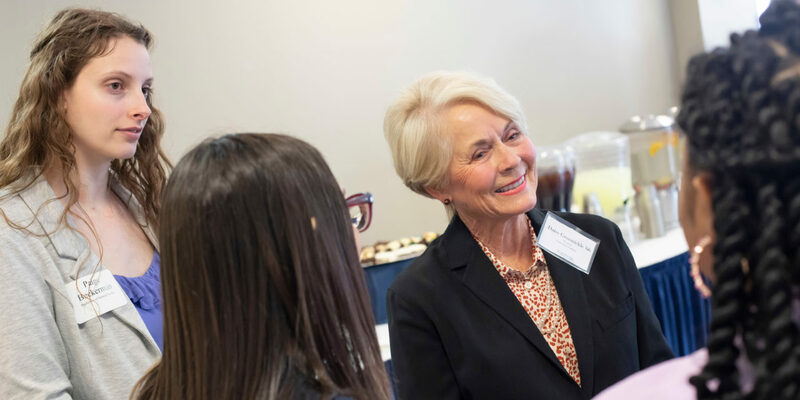 “I think it’s also good for students to practice passing out business cards and communicating while honing their networking skills,” she says. 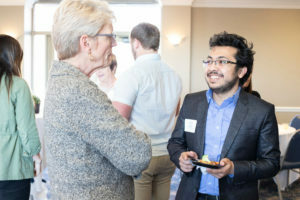 The event was attended primarily by students who are members of the Emerging Leaders Institute, but it was open to all students who wanted to practice and improve upon their networking skills. 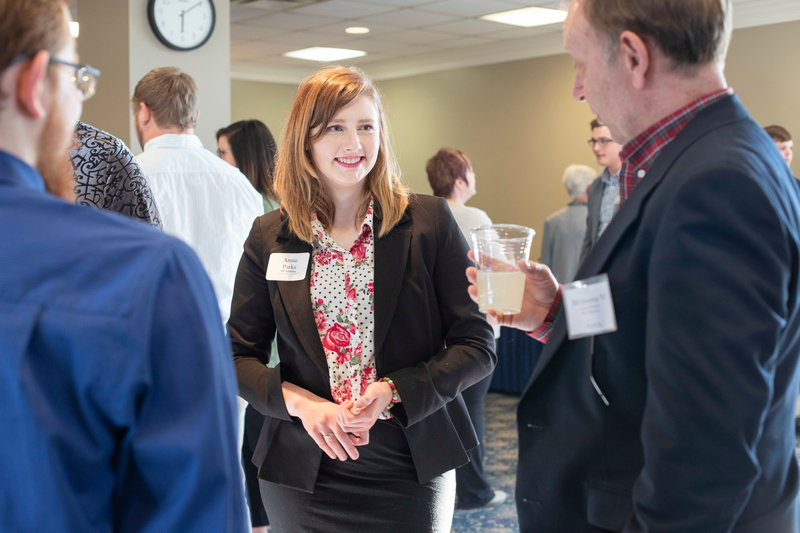 Zane Torreyson, a freshman majoring in healthcare administration, appreciates networking and connecting with alumni from all different backgrounds. “This event benefitted me a lot because I got to talk to a bunch of alumni and got to see how they ended up — where they are now and what they did to become successful,” he says.